Been wishing for a dish and finally got your way? Or have you been a fan of Sky, Freesat, Hotbird or one of the foreign language satellite services since the Digital Switchover? Whatever your reasons for requiring satellite TV installation or repairs, you’re in the right place. The team here at Slough Aerials & Satellites know all there is to know about the major and minor satellite TV service suppliers in the UK market. And being local to the Slough area, they can get to addresses in Berkshire, Middlesex and Oxfordshire quickly to carry out all kinds of satellite related work in homes and workplaces. Customers choose us not just for our outstanding customer service. But also because we react quickly, quote competitively, and take on jobs in potentially tricky or tight locations that other companies refuse. The satellite dishes on the outside of homes and offices are the most obvious sign of satellite TV services. Installing these dishes takes skill and experience which our Technicians have in bucketloads. But most satellite TV also requires a set-top box to be installed in your home. 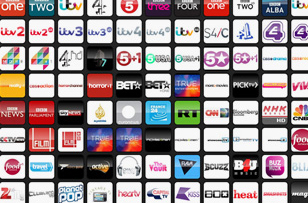 Providing this service is another way we help customers in Slough with their satellite TV needs. 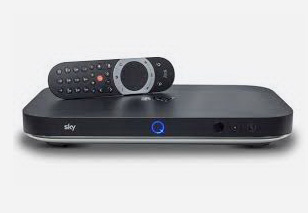 And if you want Sky Multi Room or the Freesat equivalent, but are disappointed by how long you’ll have to wait before one of their Engineers can come round, call us. Chances are we’ll be able to help before they can, as we’re open 7 days a week. Sky gone shaky? Freesat gone fuzzy? Hotbird cooled off a bit? Whenever a problem with your satellite TV service crops up, be it with the dish, the wiring or the set-top box, call Slough Aerials & Satellites. We know how frustrating it is to be without the satellite services you value so much, which is why we’ll dispatch an engineer to your place as quickly as we can, often quicker than other companies. Our Same Day Service is particularly popular, as is the fact that in 95% of cases, we fix faults on the same day we arrive at your place. Sky-Q’s new and our Engineers know all about it, having installed and repaired systems all over Slough. They also know all about Freesat and other lesser well-known satellite service providers like Hotbird and some of the foreign language systems. Quick to arrange appointments. Quick to get you quotes. Quick to arrive at your home or workplace, Quick to get the job done (95% of the time this happens on the day we start). Our team knows Slough and the surrounding areas. So we know how to get the best satellite TV reception for homes and workplaces. Whoever heard of a satellite TV service that refused to go wrong at the weekend? Faults can happen at any time, and not every satellite TV installation or upgrade can wait until Monday. That’s why we’re open all week and all weekend. Why put up with rude or arrogant service from suppliers who think your job is below them? Here at Slough Aerials & Satellites, we take on all kinds of jobs. And you’ll experience just how good our customer service is from the moment we answer your phone call, to the moment our Engineer says goodbye, following the completion of a job well done. Call us for a quick quotes on satellite TV work on 0800 051 7674.